Overall, The New Turkey: The Quiet Revolution on the Edge of Europe is neither a comprehensive guide to modern Turkey nor a thorough account of the old one. It rather aims to examine some key aspects of a rapidly-changing country through the lens of somebody who worked for five years in the country as a BBC correspondent. This perspective has unavoidably shaped the author’s perception of a country which has been constantly striving to prove that it is more than the eastern margin on an-all Christian map. The common theme of Chris Morris’s portrait of Turkey is the country’s political, economic, cultural, social transformation and its efforts in to face present and future challenges. Morris’s ambition is to share his experiences and knowledge in order to allow the reader to judge whether Turkey has the credentials to take up these challenges. In the first chapter, Morris plays with the ignorance and arrogance of Western observers by ironically asserting that Turkey has “a bit of history, which in fact is a rather long one”. For him, Turkey is not just the summer resort as it is most typically identified by foreigners but it also carries a past that ought to be respected and studied. In chapter 2, the legacy of the founding father of modern Turkey, Kemal Atatürk, is explored. The author highlights the influence and impact of Atatürk’s deeds and beliefs which make him the single most important figure in Turkish collective imagination. In chapter 3, the Islamic foundations of modern Turkey are presented. Some manifestations of the strong religious elements apparent in public life are exposed and the long-lasting strife to establish a secular democracy is revealed. Chapter 4 deals with the Kurds, and some light is shed on the burning questions regarding the issue of the existence and recognition of this minority and its co-habitation with the Turkish majority. Most of chapter 5 is devoted to the description of the enduring wounds that Turkey has incurred vis-a -vis the diminishing Greek community (and vice versa) while the Armenian minority and its treatment by the Turkish authorities occupy a rather smaller part of the same chapter. In chapter 6, Morris deals with issues of human and other rights within the modern Turkish state and as well as with the recent attempts to properly address these issues. Chapter 7 is devoted to the reforming efforts in relation to the Turkish economy and recent policies and initiatives. 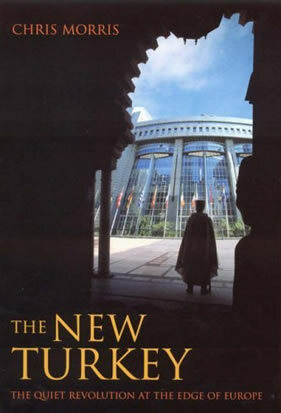 One of the most hotly debated issues within and outside Turkey, namely its “Europeanisation” is addressed in chapter 8. The changes this process will make to Turkish as well as to European identity are assessed and some of the West European expectations and Turkish hopes and fears are explored. Chapter 9 deals with the strategic, geographic and political centrality of Turkey, which Morris conceives as the crossroads between Asia and Europe and arguably between Islam and Christianity. The last chapter is about the cultural revolution that the author has been witnessing in Turkey in the last few years, which stretches from the media and literature to music and representation of the “other” in public and private life. Turkey’s large population has been erroneously perceived as a threat to the prosperity of the EU societies and to the stability of their labour markets. Most importantly though Turkey has been and still is conceived and treated by many Islamophobic EU member states as a harmful addition to its religious, that is all-Christian, identity. Morris’s book can help dilute some of these misconceptions.